← What Are You Passionate About? 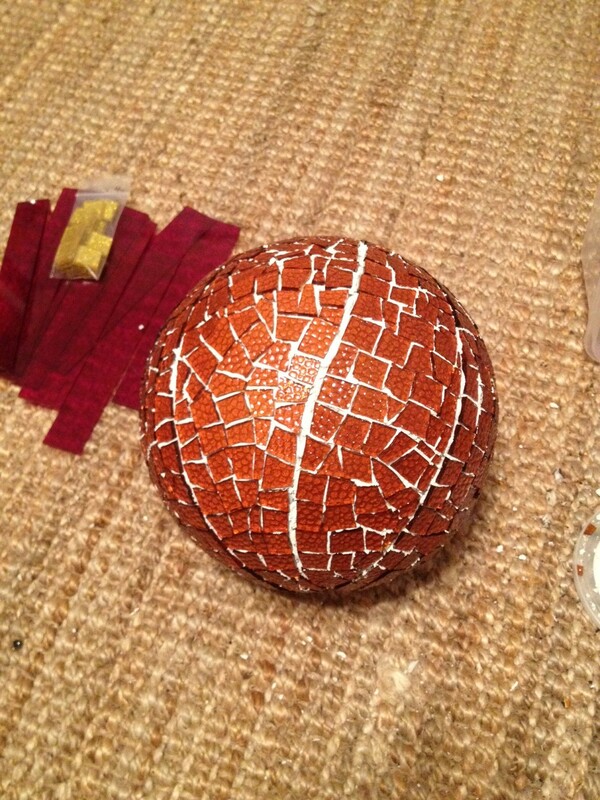 Somehow, I managed to not get a picture of the ball before I started working on tiling the “M”….sorry about that! As I mentioned last time, the finished gazing ball will be auctioned off a week from tomorrow at the Fast Break Club’s annual golf outing and silent auction. All of the proceeds will benefit the Fast Break Club, and ultimately, the 2012-2013 University of Minnesota Gophers Women’s Basketball team. Watch for the final photo next week before this piece hits the auction block! This entry was posted in Uncategorized and tagged Fast Break Club, gazing ball, Golden Gophers, mosaic, university of minnesota. Bookmark the permalink.